This bright and vibrant bunny baby rattle is always a popular toy for babies. The rainbow colours are both appealing and stimulating and bunnies are a perennial favourite with parents. This rainbow stripe bunny soft toy is handmade from cotton yarn and would make an ideal newborn baby gift or baby shower gift. Fair trade, handmade, suitable from birth and machine washable. Who made my bunny baby rattle? 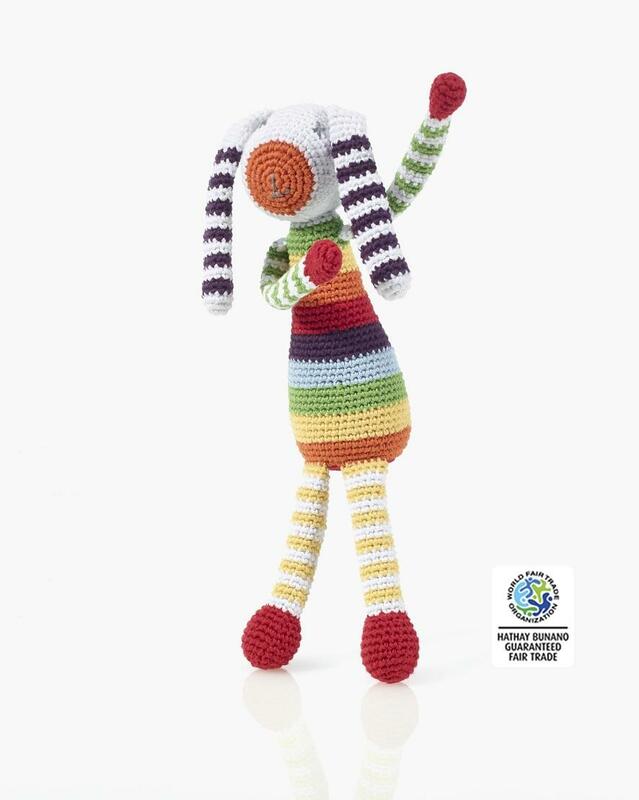 All of our fair trade crochet bunny baby toys are made by our fair trade partner Pebble.